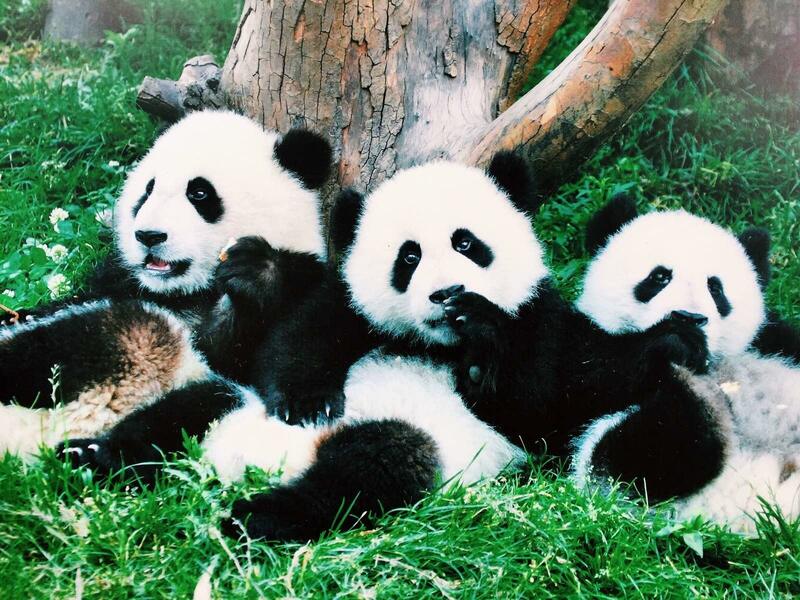 Chengdu has been the ancestral homeland to giant pandas since ancient times. The Research Base of Giant Panda Breeding is one of the world´s famous research and educational bases all over the world. The giant panda is a kind of rare and beloved animal that only inhabits in Sichuan, Shaanxi and Gansu provinces of China. 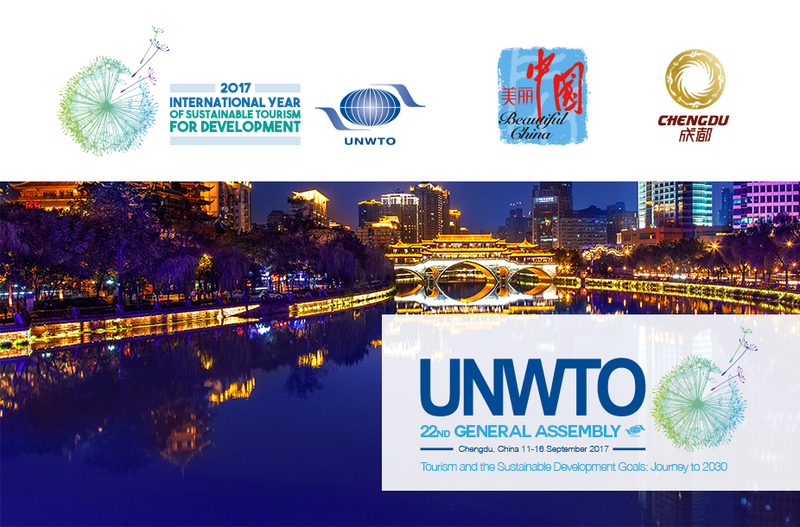 With a population of less than 2000, the species is included on the endangered list by the Convention on International Trade in Endangered Species of Wild Fauna and Flora and is protected by China’s Wildlife Protective Law as the special-class protected animal. Giant pandas are appreciated and cherished by humans all over world; their black and white faces and rounded ears endearing them to children and adults alike. Because of its prominent scientific research value, endangered status, and lovely appearance, the giant panda is considered a national treasure of China. Though small in number, giant pandas have visited many countries and served as envoys of friendship from China to the world. Dujiangyan Scenic Spot is located in the west of Chengdu plain of Minjiang river, dujiangyan city, sichuan province. 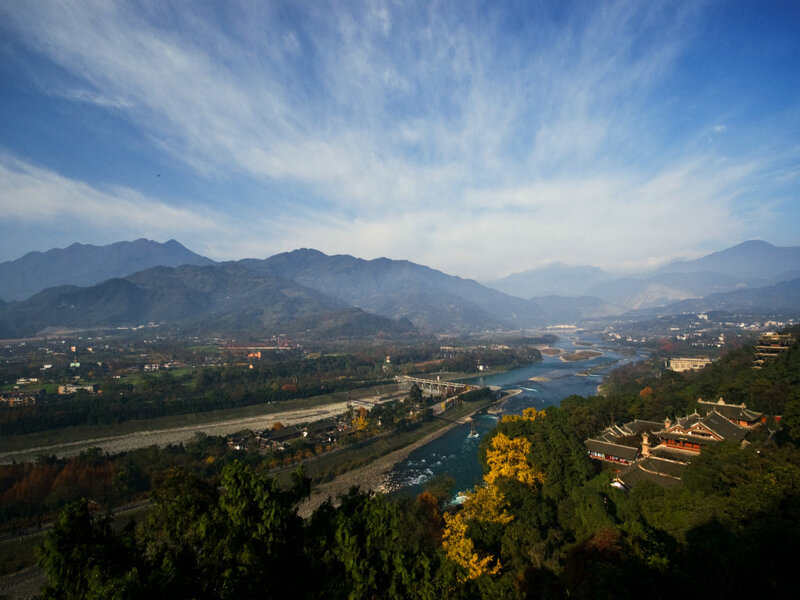 Dujiangyan irrigation system was built more than 2000 years ago (about 256 ~ 251 BC) by the Shu Satrap Li Bing and his son. For many years, Chengdu agricultural area and local farmers suffered a lot from flood of Mingjiang River. Li Bing designed this water irrigation project based on natural geographic conditions and organized thousands of local people to complete the project.The system is a large hydraulic water project which consists of three main parts: the Fish Mouth Water-Dividing Dam, the Flying Sand Fence, and the Bottle-Neck Channel.Due to the success of the project, the dam automatically diverts the Mingjiang River and channels it into irrigation canals. For many years the dam has continued to make the most of the water conservancy works, lies Chengdu as a "land of abundance".Expansion has been undertaken since 1949 and at present the system does a good job of irrigating farming land across 33counties of the western part of Sichuan Province, the area of ten million mu. People appreciate the ancient wonder, which still works to benefit people today. Dujiangyan irrigation system reflects the hard-working, courageous, and the wisdom of Chinese ancient working people. Jinsha site museum covers an area of 300,000 square meters, and its construction area is of 38,000 square meters, including relics museum, gallery, protection and restoration visitor center, cultural center, sands, garden theatre district etc. Jinsha Site Museum is recognized as the most important archaeological discovery of China in early 21st Century as well as another significant archaeological discovery followed after San Xing Dui Discovery in Sichuan Province. 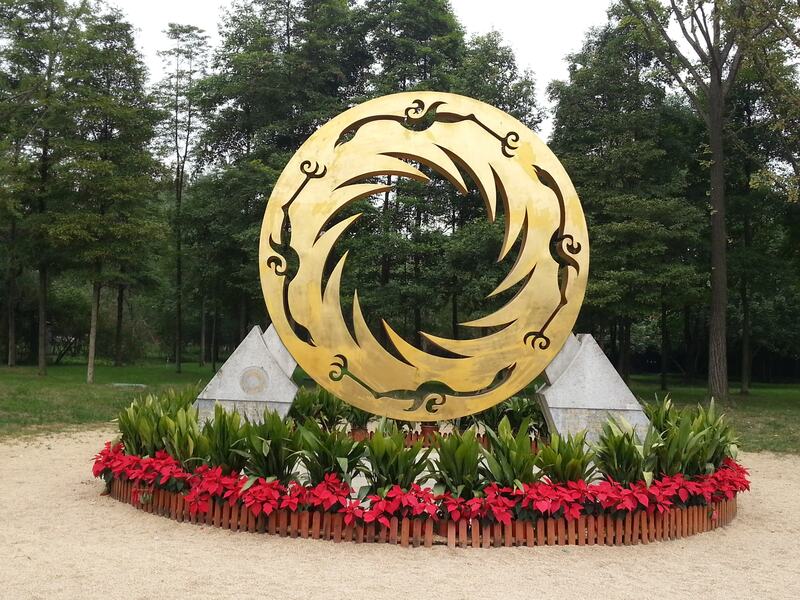 Jinsha site is of great significance in reseach on the origin, development and decay and perish of the Shu Culture, in particular, it provides us with reliable evidence to explain the miracle of sudden perish of San Xing Dui civilization. The pattern of the Saint Sun Birds unearthed in Jinsha ruins has been selected as the logo of China Cultural Heritages. 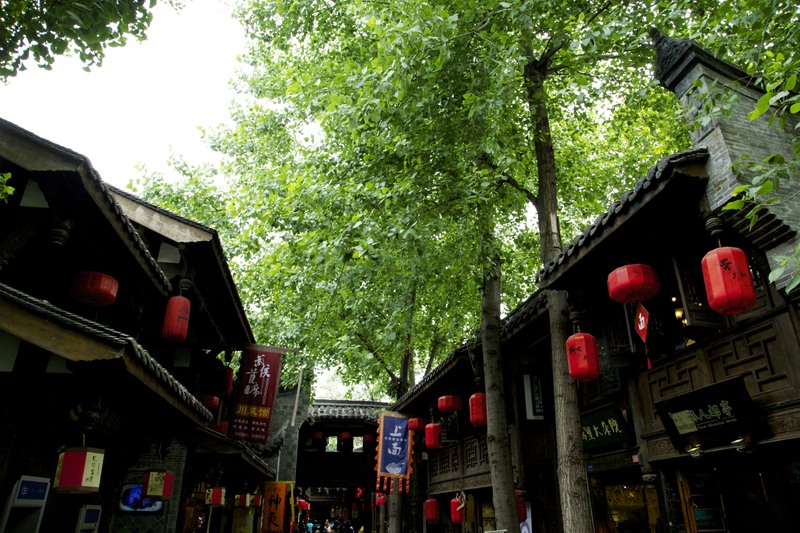 Kuanzhai Alley is one of the three major historical and cultural conservation areas in Chengdu, which is consist of three lanes, there are Kuan Lane, Zhai Lane and Jing Lane. Kuan Lane and Zhai Lane are in parallel arrays running from east to west with a group of quadrangles. The ancient walls, aged bricks and old gates here are not only the last relic of the city pattern of "thousand-year-old young city" and the one-hundred-year original architectural structure of old Chengdu, but also the only existing copy in southern China from the lane (Hutong) culture and architectural style of northern China. Nowadays, the combination of business and culture here has become the most leisurely, fashionable and unique courtyard consumption experiencing area. Wuhou temple (also named as Temple of Han Emperor). During the end of the Eastern Han Dynasty (25-220), the warlords took the opportunity to build up their own political and military strength and made themselves into autonomous regional kingdom. Finally the warlords carved the Han Empire into three kingdoms of Wei, Shu and Wu, and the capital of kingdom Shu was Chengdu. 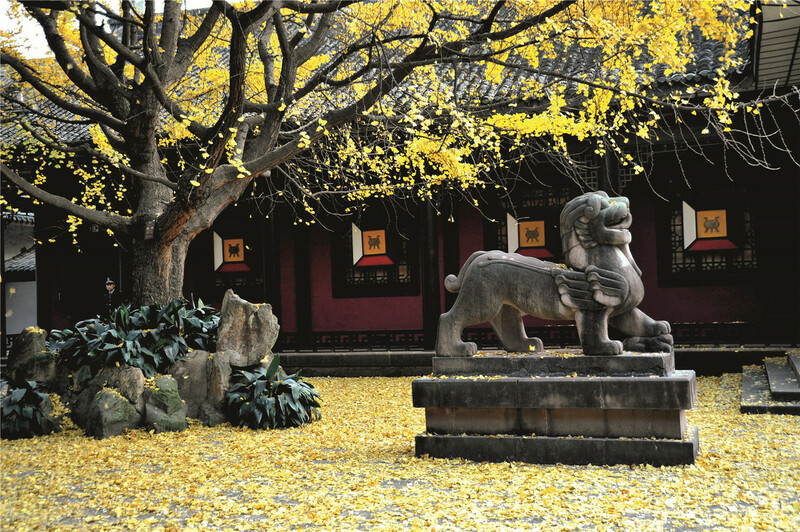 Wuhou Temple is much associated with the kingdom of Shu, and it is the place to commemorate Zhu Geliang, who was the Prime Minister of Shu kingdom. Wuhou Temple consists of five main buildings: the Front Gate, the Second Gate, Kiu Bei's Hall, Zhu Geliang's Hall and Liu Bei's Tomb. Wuhou temple now is the national key cultural relics protection unit, national AAAA tourist scenic area, and first-class national museum. 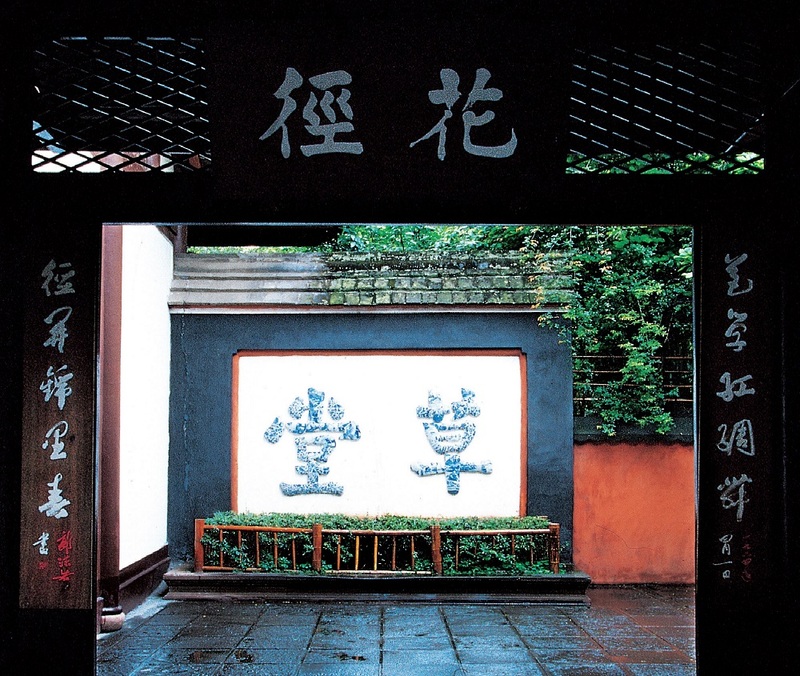 Jinli Folk Street was set up and opened for public in 2004, which is located in Chengdu Wuhou Temple Museum (three kingdoms historical sites) area. 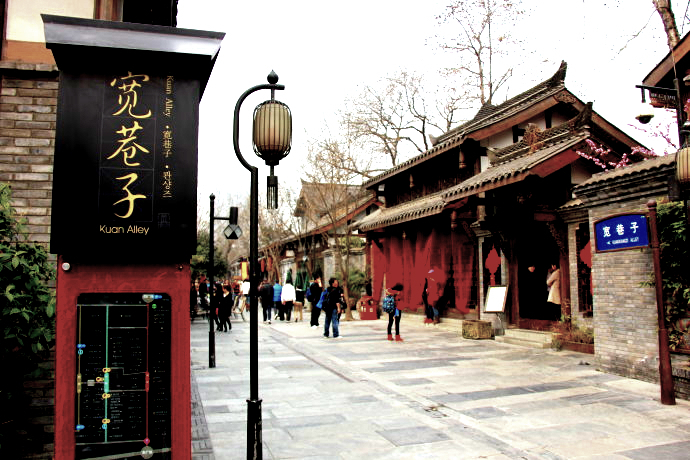 Walking in this street, historic lanes, old official residences, vernacular dwelling, inns and shops will bring you back to the ancient China. The elegant style of those architectures of Jinli tells you what Sichuan looks like during the Qing Dynasty and Sichuan Culture is inlayed in this ancient street. After its recent renovation, Jinli Folk Street has become one of the busy trading streets and the folk custom area in Chengdu. On both sides of this 350-metre street there are numerous small stores selling handicrafts, antiques, and souvenirs such as Shu embroidery, lacquer products, folk handicrafts, old porcelain dishes, curios, or calligraphies and paintings. Du Fu Thatched Cottage is the home of Du Fu, a famous poet, was regarded as the “Sage of Chinese Poems “in the history of Chinese literature. During the An Lushan-Shi Siming Rebellion in Tang Dynasty, Du Fu took refuge in Chengdu from Chang'an (now Xi'an). With the help from his friends, the thatched cottage was built by the Huanhua Stream on the west suburbs of Chengdu, where he spent four years of his life and produced more than 240 poems oft-quoted and widely loved. From Song Dynasty, people started to construct gardens and halls on the site of his thatched cottage to honor him and pay him respects. The Cottage itself is a solemn and serene landscape, in which the memorial buildings are elegantly simple, close to a commoner's house, yet in their accommodation there is a very large collection of different editions of Du Fu's poems and other relics. Tours will be offered from 11 September to 16 September, except on 12 September and the afternoon of 14 September. PS: The minimum number required to organize each tour is 15 people. There is no maximum capacity for each tour, except XLY MOMA Art Museum with only 150 pax.